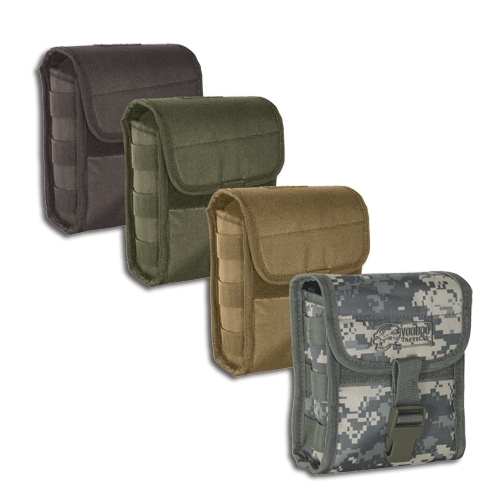 americanequipage.com now carries VooDoo Tactical's Universal Equipment Bags. This military accessory is a great piece of soldier gear. It attaches to your vest, belt, or pack for easy access. - Attaches to your vest, belt or bag for easy access. - Adjustable buckle closure strap to accommodate various different styles of binoculars. - Measures 7"T x 6"W x 3"D.